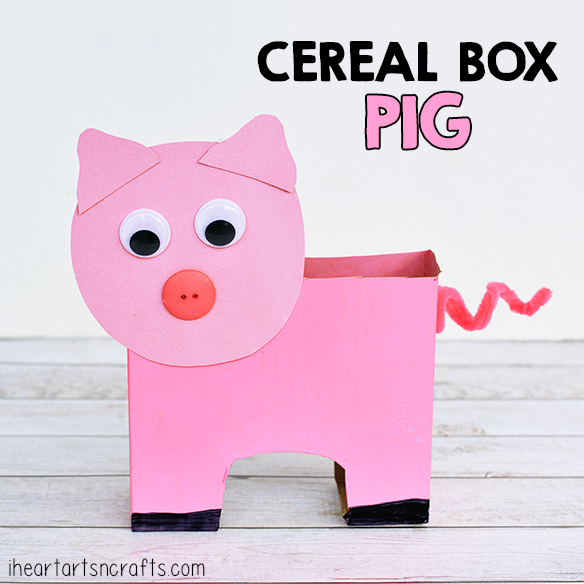 This post is part of the Kids Craft Stars monthly challenge, so be sure to check out some of the other creative cereal box crafts at the end of this post! 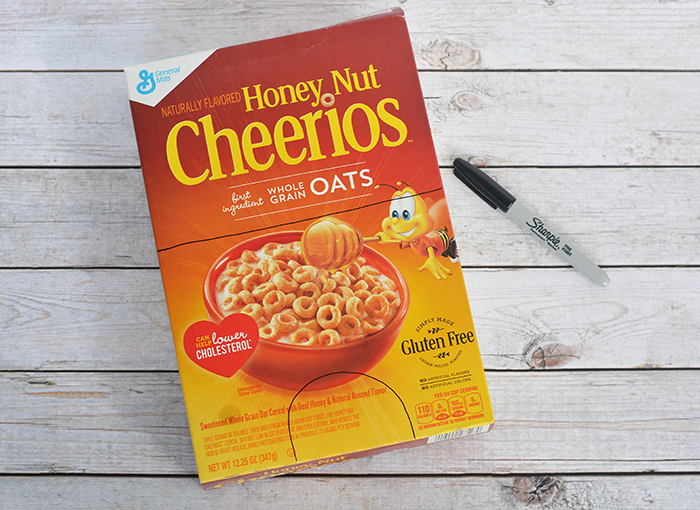 Or tag us on Instagram with the #kidscraftstars hashtag to share some of your favorite cereal box crafts. 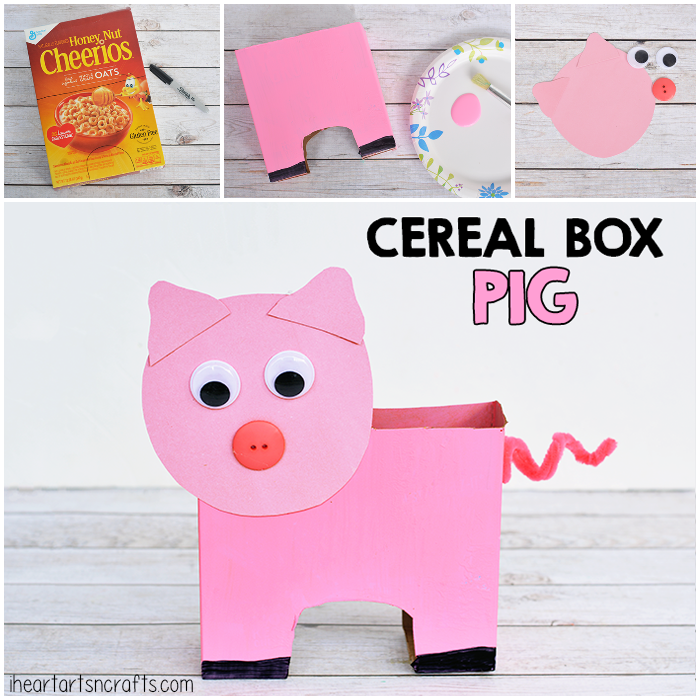 For our cereal box challenge we crafted a pig to go along with Laura Numeroff’s book “If You Give A Pig A Party“. To start you’re going to mark where you’ll be cutting on your box. You can seen the image below I cut the box in half and on the bottom I cut out space for in between the legs. 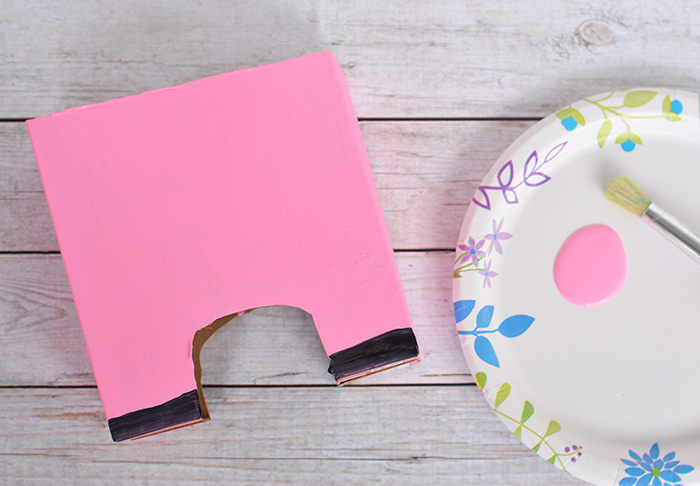 Once those are cut out you can start painting your pig, then set aside to dry. 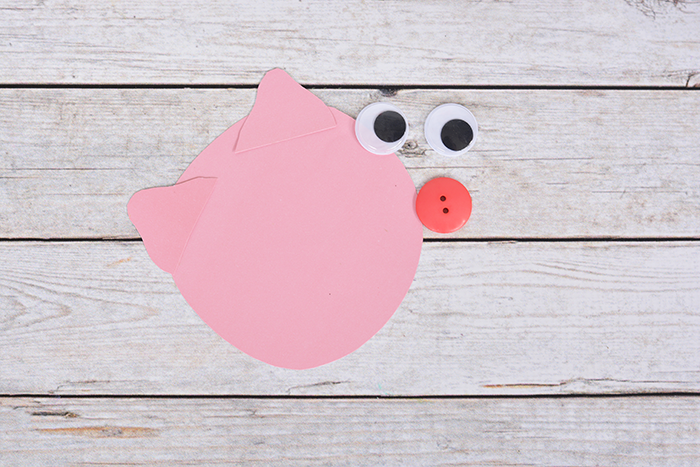 For the pig’s face we used pink card stock, some googly eyes, and a pink button for the nose. 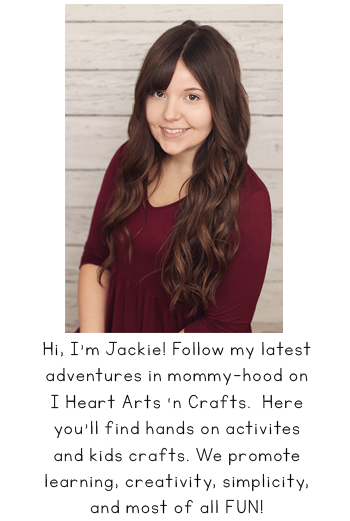 Cut out a circle from your pink card stock and two ears, then glue them together. 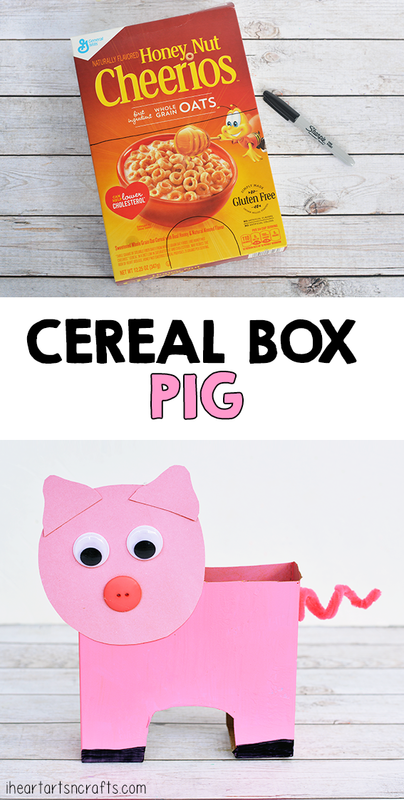 Finally you’ll glue the face to the front of the box and attach some curly pink pipe cleaners to the end of the pig for a tail! 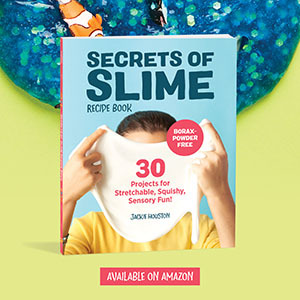 I love this craft especially that I don’t really need to go out and buy anything!